Preserved lemons (or limes!) in salt is one of my favorite canning projects because it is EASY. 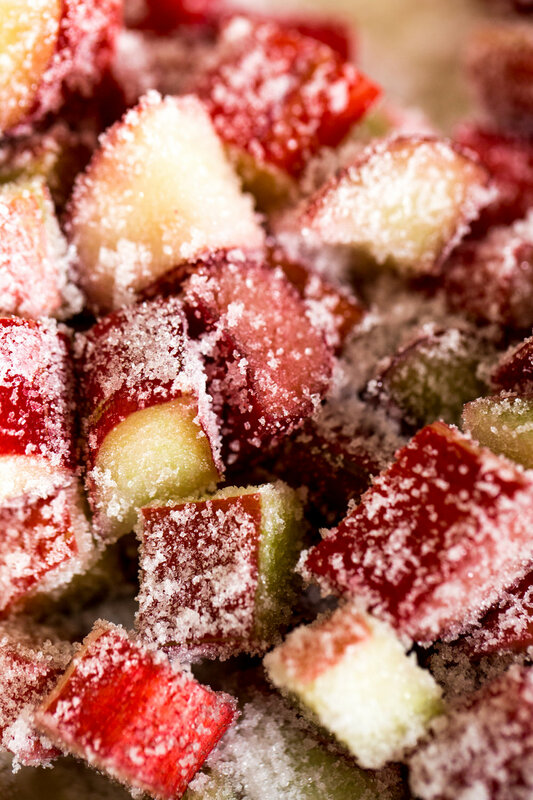 All you need is some fruit, kosher salt, and a clean jar - well, some time too if you count that as an ingredient. I was the lucky recipient of a box of Rangpur limes - one of my favorite esoteric citrus fruits - from Shae who I bonded with years ago over our love of fruit and preserving. So, long story short I preserved a couple of jars of them in salt which I will use in savory (and sweet!) dishes all year long. I just love their sour funky flavor and their gorgeous color! It's a beautiful process and I teamed up with Pete again who made this incredible video (including the music that I just LOVE). I hope you like it, and I always say this, but more to come! Making preserved lemons is one of my favorite winter canning projects and is one of the easiest too. It is really more a formula than a specific recipe so feel free to scale these amounts up or down depending on how much use you think you’ll get out of them. 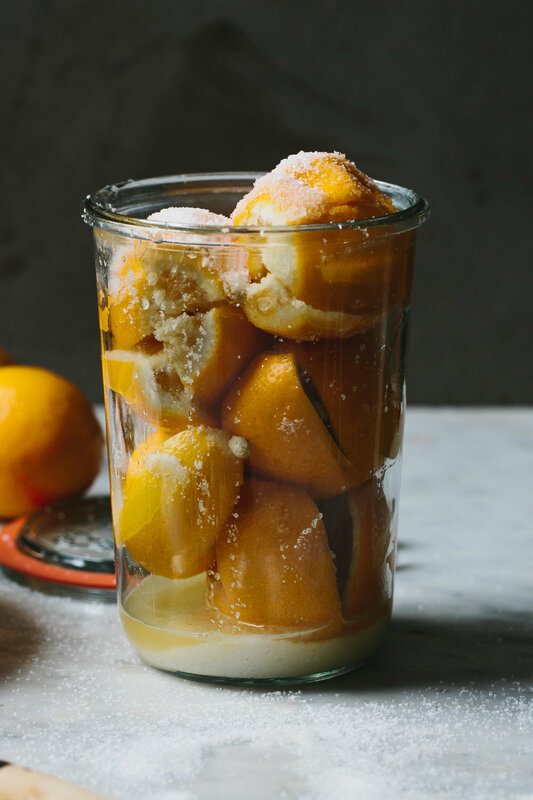 Meyer lemons are wonderful preserved because of their thin skin and small amount of white pith, but regular lemons are great too. Slice off the stem end and bottom of each lemon (only if they have big nubs). Stand the lemons up and, cut an “X” into each lemon, stopping about 1/2-inch from the bottom so all four quarters are still connected at the base. 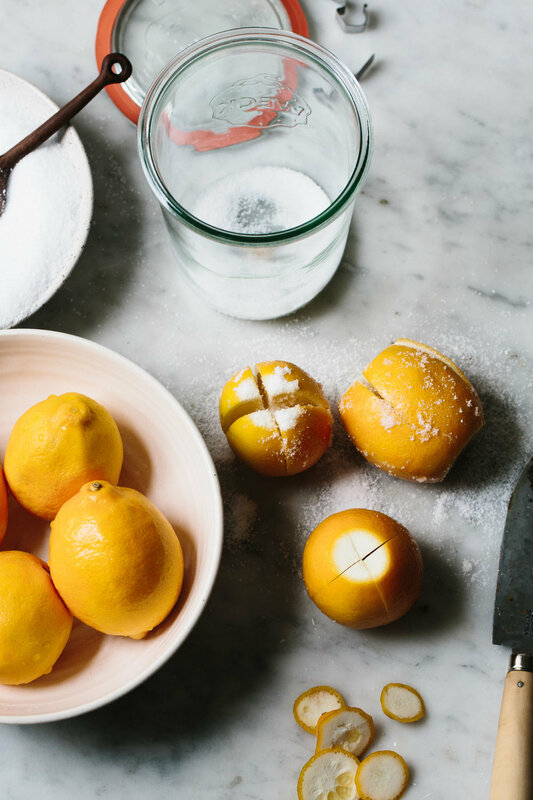 Hold each lemon open with your fingertips and sprinkle salt on the inside and outside of each one. Cover the bottom of the jar with a thin layer of salt and place each lemon in the jar, pressing to release the juices. Fill the jar with the lemons, leaving about 1-inch of headspace. If the lemons are not completely submerged in juice, top the jar off with additional lemon juice until they are covered. Sprinkle salt on the top of the jar, screw on the lid and give the whole thing a shake. Let the jar sit at room temperature for three days, turning the jar each day to distribute the salt and juices. After three days, store the jar in the refrigerator, making sure to turn it every couple of days. The lemons are ready when their rinds are very soft, about 3 weeks. To cook with the lemons, remove them from the jar and rinse with cool water. Remove and discard the pulp and seeds and chop the rind. They’ll keep in the fridge, submerged in juice, for one year. Spring is all about delicate greens and pinks returning to the market. Soft herbs and lettuces, rhubarb, strawberries, and radishes all fall into this color story and all make wonderful toppings for thick slices of perfectly toasted bread- which just happens to be one of my favorite food groups. 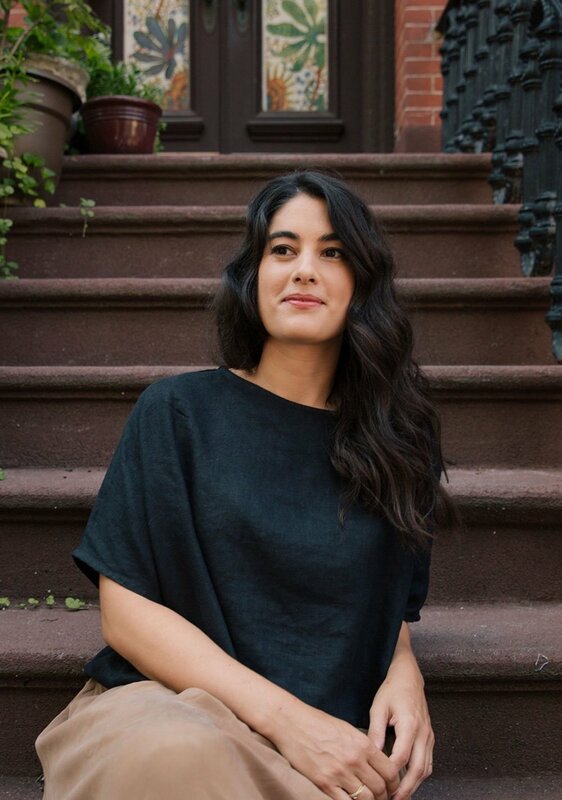 Head on to the Wolf Gourmet Blog to see the recipes for my ode to Sqirl's famous ricotta and jam toast in Rhubarb and Ricotta form, and a simple and extremely beautiful Smashed Lemony Fava Bean Toast with Herbs and Parmesan. Use the freshest ingredients and the best bread you can find, pre sliced grocery stuff isn't going to cut it for fancy toast time. Disclosure: This post is sponsored by Wolf Gourmet. All opinions are my own. Thanks for supporting the sponsors that make Apt 2B Baking Co possible.